Of the three youngest daughters, only Petrona seems to have survived. At the least, nothing is known of the other two. She died six years after her father, on August 8, 1876. 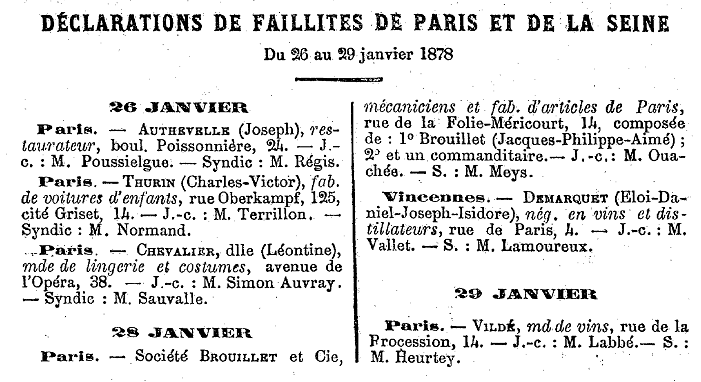 She was then living, like her brother, in the eastern Parisian suburb of Vincennes Death certificate, August 8, 1876. While it is possible that Eloi, born well after Charles/Carlos, was the same person referenced in Ecuadorian records, the assumption here is that he was a different son, and the youngest of the family. If so, he was probably called by one of his middle names. Isidore (as it seems simplest to call him here) lived an undistinguished and apparently entirely French life. When his first child, Charles Eloi Ildefonse, was born on November 16, 1872, he was 34 and his wife, Antoinette Mélina Berthiot was 19 Birth certificate, November 16, 1872. To address every option: if "Isidore" was a second Eloi, he had apparently lived a bachelor's life into his thirties; presumably one he had enjoyed. If in fact there was only one Eloi, then the same person had already been married and divorced in Ecuador before finding a much younger French wife. He would also, as will be seen, have come markedly down in social status. He was then listed as living off an income – which may have been a euphemism for being unemployed; however, since his father had only died two years before, he may also have had an inheritance. The couple already lived in Vincennes, though they would later change streets. Note that their first son, once again, bore the two first names which his grandfather had used in Ecuador and given to his own first two sons, yet had “corrected” in France. When his daughter, Jeanne Marie Louise, was born two years later on August 17, he was listed as a shopkeeper Birth certificate, August 18, 1874. He probably did not then yet own the liquor store he later ran in Vincennes; the couple still lived at their earlier address, where Jeanne was born. However, one of the witnesses on her birth certificate was a wine merchant and perhaps Isidore worked with or for him. The other was a house painter; the son of Bolivar's aide and the brother of a prominent member of Quito society was living in a far less exalted world. As she grew up among shopkeepers and manual laborers, how much did his daughter hear of her grandfather's exploits, or of the offices held in Ecuador by an uncle who lived in the finest quarter of Quito? Perhaps she was happy enough with the life her family had. But even at four, she would have sensed a change in it after, on January 1, 1878, the Commercial Archives of France announced the bankruptcy (on January 28) of “Demarquet (Eloi-Daniel-Joséph-Isidore), wine and spirits merch., rue de Paris” “Faillites de Paris et de la Seine”, Archives commerciales de la France. Journal hebdomadaire... - , 1874-1955 28 Janvier . Then, when she was only seven, he died, on December 3, 1881, at 44. The witnesses on his death certificate were two shopkeepers – a vivid contrast to the embassy personnel at his sister's marriage. Death certificate, December 3, 1881. His wife had then just had their last child, François René, at their home on August 15 birth certificate, August 17, 1881. Jeanne was now the daughter of a widow, not yet thirty, with three children. However the family got by, Life could not have been easy. Her grandmother however had left her one precious inheritance, and it would only have been more apparent as she became a woman. If, per Boussingault, Manuela Demarquet was “beautiful, and that is all”, in Turn of the Century Paris to be beautiful was a great deal. Colette has left the most memorable descriptions of the glittering, graceful world where beauty and money met in France at this time. It was a world in which, as the new century started, a poor girl whose father had abandoned her came from Auvergne to Paris, where one rich man and then another brought her into Paris society. She started making hats for its elegant women and soon was making clothes for women all over the world. The world where Coco Chanel got her start was the same one where Jeanne Demarquet became Jeanne De Marquet, with the appropriate monograms on the backs of her brushes. It was as far as the beautiful young daughter of a bankrupt shopkeeper could get from her father's failures and the struggles of her widowed mother. Most of the men she knew were no doubt rich. One, Joseph Marie Rogatien Chevallier, certainly was not, but he was handsome and, like her grandfather, wore a uniform. On February 17, 1900, she bore him a baby boy, Joseph Jean Jacques. But whatever her feelings about father or son, she was not ready to change her life. After all, what kind of husband was a mere soldier for a... De Marquet? 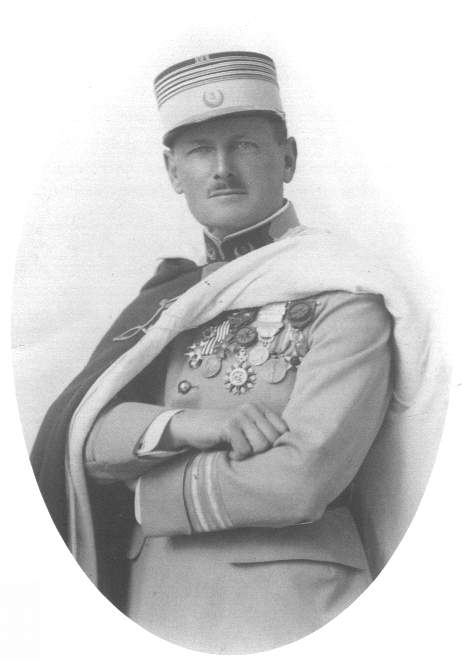 The following year, lieutenant Joseph Chevallier was sent to French Indochina for three years. It is unlikely that he considered himself a writer; he was every inch the military man. But during his whole time there, he sent letters to his father, a notary in Brittany, on life in turn of the century Vietnam and Laos. These letters, if not free of the prejudices of his time and class, are rich with detail, full of close and lively observation of countries still today imperfectly known in the West Joseph Chevallier, Lettres du Tonkin et du Laos: 1901-1903. He would later spend much of his career in other countries. One was Peru (1923-1925). But he was probably unaware of how closely his own son was bound to that region. Ultimately, he would become a brigadier-general. In the physical domain, he preferred less violent triumphs; from 1919 to 1920, he was university champion of France in athletics (or, by another account, winner of the 400 m in 1920, of the 100m, 400m and 400m high jump in 1921 and winner, in the France-Swiss athletic international, of the 200m.) With all he later accomplished, those first victories were never far from his mind. For the rest of his life – literally to its last day – he remained physically active. With all his heart, at the Faculty of Law at Grenoble, beginning at the French Institute of Belgrade which he directed for two years, at the Faculty of Law in Paris, at the School of Political Science become the Institute of Political Studies and remaining “Sciences Po”. Like José Fernández Salvador, he soon became (among other things) a distinguished jurist. But when Dr. Fernández Salvador - whom one writer called "a walking library" - died, "day by day the public waited two or three years, to see [his] posthumous productions" until it became apparent that he "had written no works" www.diccionariobiograficoecuador.com. He began, too, to raise a large family (for his children, see the genealogy page on this site.) 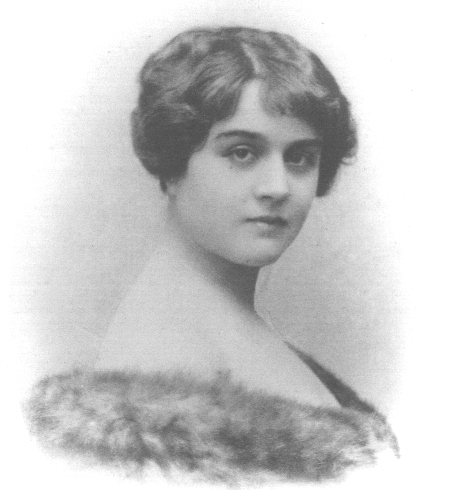 Probably to her own surprise, Jeanne "De Marquet" ended her life - on May 25, 1946 - as a beloved grandmother. Other books soon followed – on Barnave, on Mirabeau, on the Dauphiné in 1788, but also a book of poetry and one on “Grenoble and its mountains”, mountains which he loved and knew well. Through a long career, he scaled a very different peak and on March 2, 1964, reached what for many would be the pinnacle of an academic career: he became a member of the Institute of France in the Academy of Political and Moral Sciences; that is, an Academician. But he had another goal still before him: having begun, in 1949, a monumental history of political ideas - Les grandes œuvres politiques: de Machiavel à nos jours – he was working on its third volume when, in May of 1983, he went out for one of the long bike rides he so loved, came home and collapsed. Today different editions of that work exist in Italian, Spanish and Vietnamese. However, it is not quite his most enduring work. Though his mother's beauty might be traced back to Manuela Fernandez-Salvador y Gomez de la Torre, it is less likely that a choice of subject would be encoded in one's genes. And yet the work of Jean-Jacques Chevallier's which, as of 2009, had gone into its ninth edition, still a classic decades after his death, is a French constitutional history: Histoire des Institutions et des Régimes Politiques de la France de 1789 a 1958 - written by a man who probably never knew that his own great-great-grandfather was a distinguished jurist who had led the creation of his own country's first constitution; and who, if he ever knew that his great-grandfather had fought beside Bolivar, did not speak of it, leaving his own many descendants to recover a memorable inheritance.